A practical, armchair travel guide that explores eighty of the most iconic literary locations from all over the globe that you can actually visit. BOOKED inspires readers to follow in their favorite characters footsteps by visiting the real-life locations portrayed in beloved novels including the Monroeville, Alabama courthouse in To Kill a Mockingbird, Chatsworth House, the inspiration for Pemberley in Pride and Prejudice, and the Kyoto Bridge from Memoirs of a Geisha. The full-color photographs throughout reveal the settings readers have imagined again and again in their favorite books. 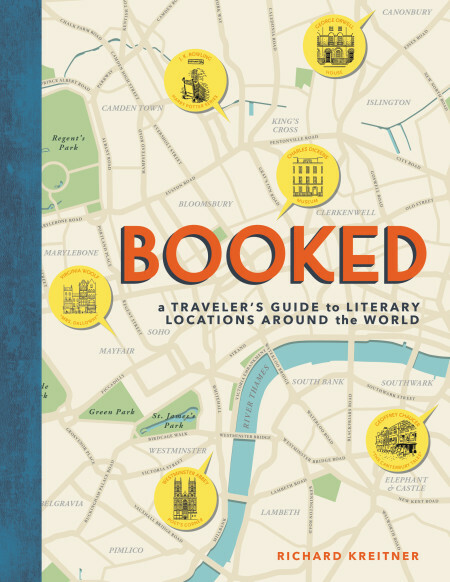 Organized by regions all around the world, BOOKED explains the importance of each literary landmark including the connection to the author and novel, cultural significance, historical information, and little-known facts about the location. He also includes travel advice like addresses and must-see spots. BOOKED features special sections on cities that inspired countless literary works like a round of locations in Brooklyn from Betty Smith’s iconic A Tree Grows in Brooklyn to Jonathan Lethem’s Motherless Brooklyn and a look at the New Orleans of Tennessee Williams and Anne Rice. The history of our imperfect Union is an epic, untold story of its strange origins, accidental creation, and the almost two and half centuries of faltering attempts to hold it together. By taking one clear and crucial step outside the confines of how we usually speak about our country, BREAK IT UP will establish a new paradigm for understanding both its contentious past and its uncertain future. Secession is the only kind of revolution Americans have ever known, the only kind we're ever likely to see. If the massive hodgepodge of a country known as the United States no longer functions as a going concern, maybe it’s time to break it up. While many see secession as a sin peculiar to the South, there are few regions of the country that have not threatened to leave, few groups that have not thought disunion might be a good idea, and few eras that have been free from Union-threatening sectional strife. Northerners and Southerners, slaveholders and abolitionists, imperialists and isolationists; nationalists black, white, indigenous, Chicano; spies and secret agents; hippies, anarchists, environmentalists, racists, reverends, statesmen, even presidents—all have questioned the Union’s legitimacy, doubted its persistence, plotted its dissolution, or imagined its fall. Their story has never been told.